MP ITI Admission 2019: The Directorate of Skill Development, Madhya Pradesh conducts the course of MP ITI. Candidates, who wish to take admission in the various trade courses of Turner, Fitter, Electrician, Machinist, Electroplating, Draftsman (Mechanical/ Civil), COPA, etc pursue this course. Candidates, who have pursued their 10th standard can pursue the course of MP ITI. MP ITI Online Form will release soon. One, who longs to sit in the examination must fill the MP ITI Application Form. But before heading towards the application form, the applicant must make sure to have a look upon MP ITI Eligibility Criteria 2019 and make sure that he/ she is eligible enough. The candidates not fulfilling the eligibility criteria cannot proceed with the Application Form further. 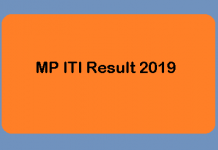 A few days after the submission of the application form, the authority will release the MP ITI Result 2019. With the help of the result, the applicant shall be able to know about his/ her selection status. 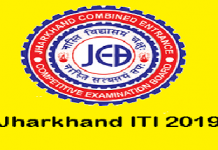 The selection of the applicant is on the basis of marks in the exam. After all these procedures, the Directorate of Skill Development shall be conducting the MP ITI Counselling. The candidate will be allotted seats in the counselling session. The candidate must be at least 14 years old. One must have completed qualified 10th standard examination or equivalent from a recognized institute/ board. Must have qualified the 10th standard along with Mathematics and Science. The applicant must have passed 10th standard or equivalent from a recognized board. The MP ITI Online Form shall get released expectedly in the month of May 2019. Candidates, who wish to pursue the aspired course must submit the application form. The applicant must make sure that he/ she submits the MP ITI Form without the due date. After the candidate submits the form, he/ she has to pay the mandatory fee. The procedure of the submission of the application form will be involving the uploading of certain documents. While uploading the same, the candidate must make sure that the documents are of the size as per decided by the authority. How to Fill the ITI Online Form 2019 MP? Step-1: Visit the official website of the concerned authority, as the MP ITI Application Form will be available at the same, i.e., mponline.gov.in. Step-2: Click on Apply Online. Step-4: Upload the required documents. Make sure that the documents are of the specifications as per decided by the authority. Step-6: Confirm all the details and submit the application form. The result of MP ITI comes in the form of a merit list. The merit list contains the names of the candidates who are being selected. After the merit list has been released, the candidates will be allotted the seats. One, who gets selected shall be called for the counselling session. The counselling session is to be attended by the qualifying candidate. In the counselling session, the applicant will have to bring certain documents. The admission in MP ITI shall be conducted through a specific procedure. The candidates shall be provided admission on the basis of the merit list. So, one is expected to score a good percentage in the 10th standard. Candidates, who belong to the reserved categories shall be provided relief of a certain number of percentage. One, who finds his/ her name in the merit list shall be able to get admission in the college allotted. In order to get admission, the applicants will have to attend the counselling session for the final admission. The applicants must note the fact that their admission is affected by various factors, i.e, merit list, qualifying marks, number of seats available, etc. If the candidate is found doing any inappropriate action to get admission while the admission procedure continues, he/ she shall get disqualified immediately. The counselling session will be held by the authority after the merit list has been released. In the MP ITI Counselling session, the candidates will be allotted the seats. The qualifying candidate will have to bring certain documents to the counselling session for the procedure of document verification.